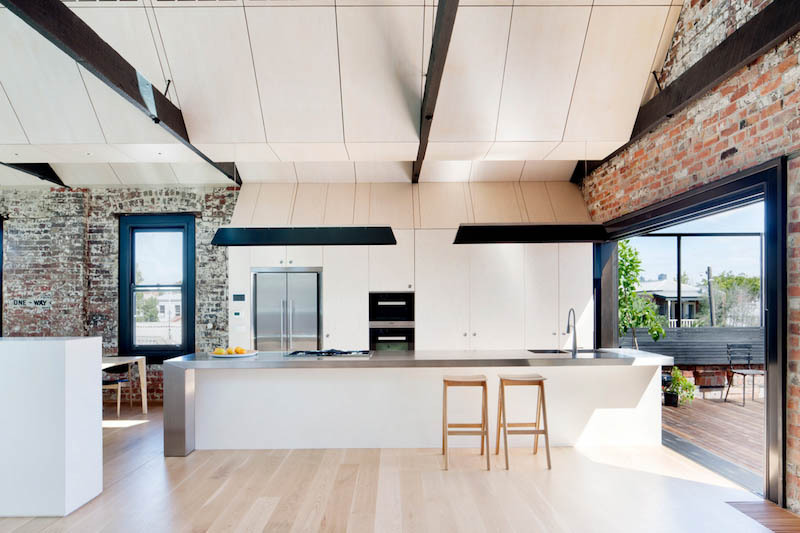 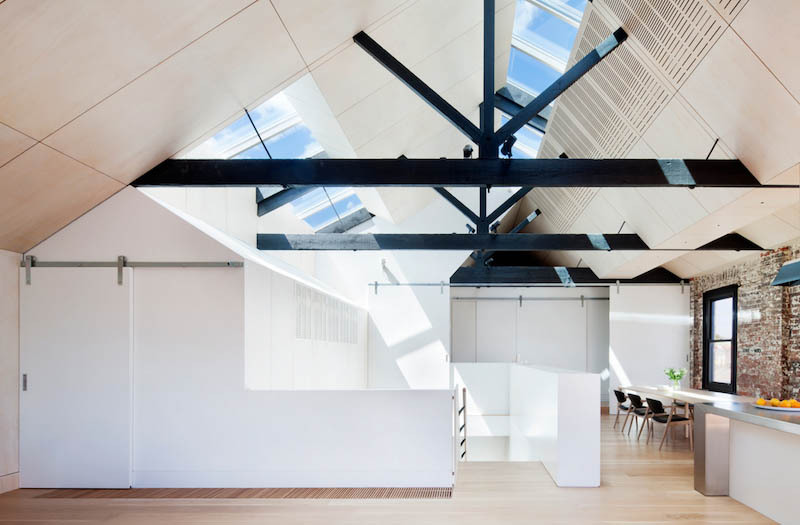 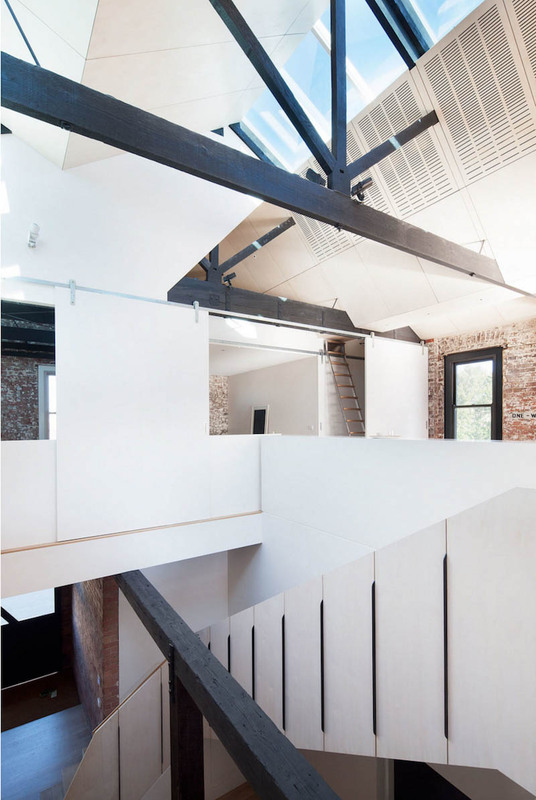 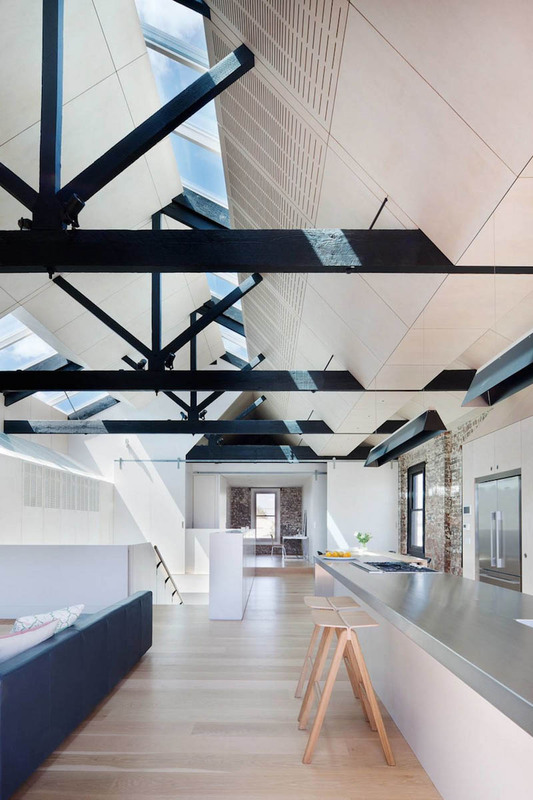 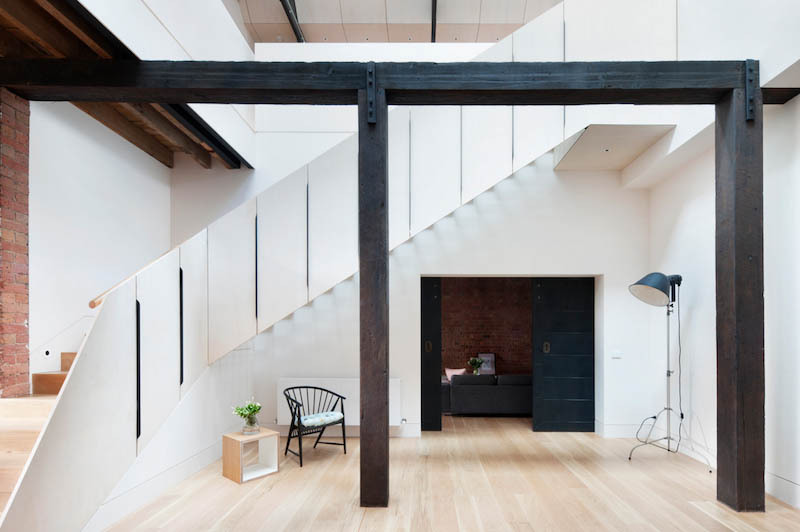 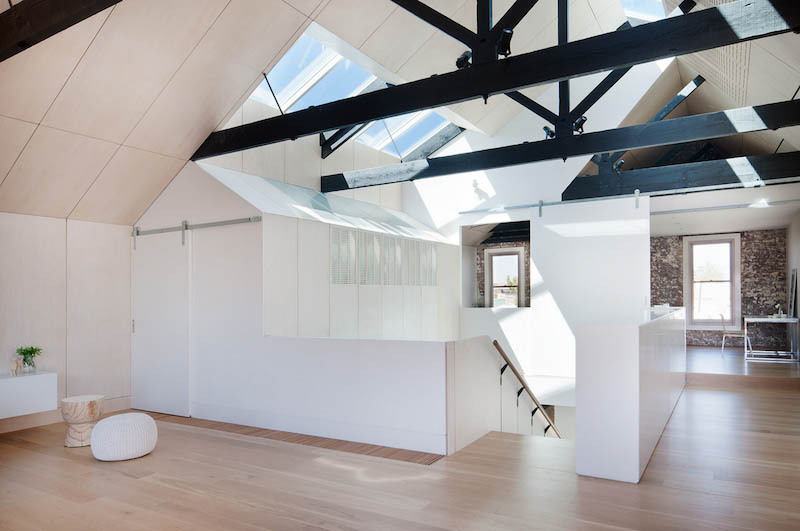 Originally an industrial warehouse building of the late 19th century, this spacious and flexible house now serves for extended family dwelling. 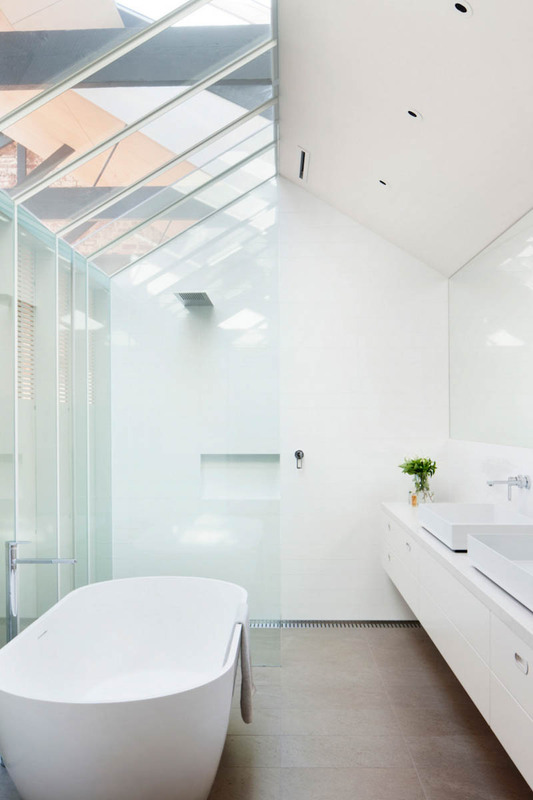 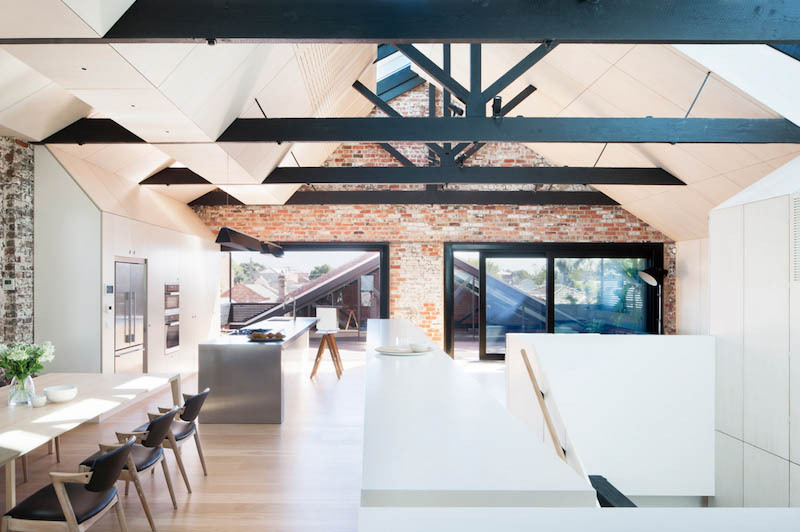 Designed by Andrew Simpson Architects, this Water Factory house shows some clever floor plan design, same time creating two side-by-side dwellings which have separate main street entrances for different members of the family. 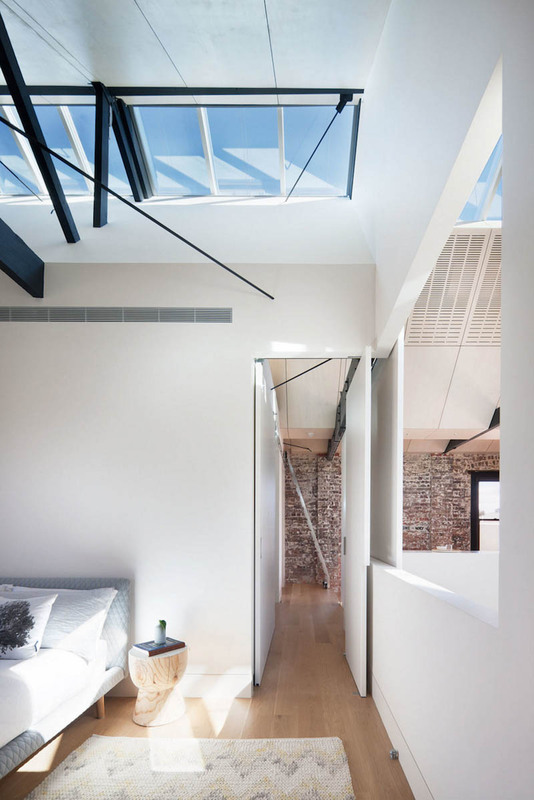 The ceiling geometry and its details together with the light drawing skylights create an unique atmosphere inside the house, also repeating the characteristics of the house’s history. 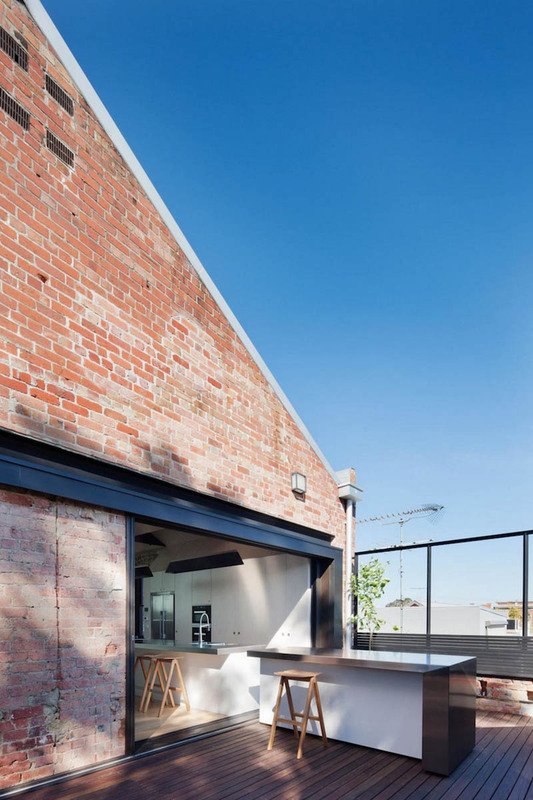 Rough brick walls, black beams and lots of natural light from many directions get the interior design palette come alive in a personal way.